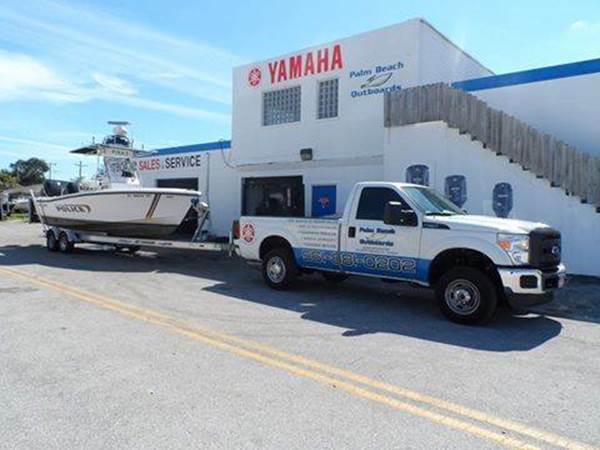 Palm Beach Outboards is Palm Beach County’s premier Yamaha outboard dealer. Whether you are looking for a 4hp or a 350 hp outboard, Palm Beach Outboards has you covered. We guarantee the lowest prices for any new motor purchase. We guarantee the lowest prices for any new motor purchase. We also carry a large selection of pre-owned outboard motors of all makes and models. Our service department and its flexibility is second to none. We can work on your boat at your home, dock or at our secure inside facility. We have Palm Beach County’s only mobile service pontoon craft which allows us to fully service your motors right on your boat lift. Palm Beach Outboards is a factory authorized Yamaha warranty center and we also work on any and all models of outboard motors.